Eli Broad is infamous for his book The Art of Being Unreasonable. Broad is also know for venture philanthropy, the approach billionaires have taken to influence and direct educational policy by inserting billions of dollars. Is the Broad “disruptive” and “unreasonable” trickle-down approach to school reform the right fit for the United States? For your community? (For all of Cloaking Inequity’s posts on Trickle-down reform click here) Today Cloaking Inequity will explore the Broad Foundation, Eli Broad’s philosophy of venture philanthropy and the guiding tenants of The Broad Superintendents Academy. In a future post here at Cloaking Inequity, I will take up Houston’s selection as the the first two-time winner of the Broad Prize. Billionaires Eli & Edythe Broad come from humble beginnings in Detroit. The couple both worked their way through the Detroit public school system, then Eli Broad continued on to Michigan State University (Go Blue!). Eventually graduating with a degree in accounting and later becoming a CPA. In 1957, Eli Broad started up a construction business with family member Donald Kaufman. Kaufman and Broad formed KB Homes; a company that would eventually be publically traded and turn sizable profits. In 1971, Broad purchased a life insurance company called SunAmerica. SunAmerica grew and was ultimately merged with AIG in 1999. The sale and merger of SunAmerica in 1999 marked a turning point for the Broads. Although the couple established a foundation for charitable giving back in the 1960s, the 1999 sellout spurred the growth of the foundation with Eli taking the lead. Then in 2010, Eli and Edythe Broad signed The Giving Pledge, stating they would pledge 75% of their wealth to venture philanthropy. The Broads identified public education as a focal point of their giving. As of 2011, the Broads have given $500 million to public education and $2 billion to The Broad Foundation. 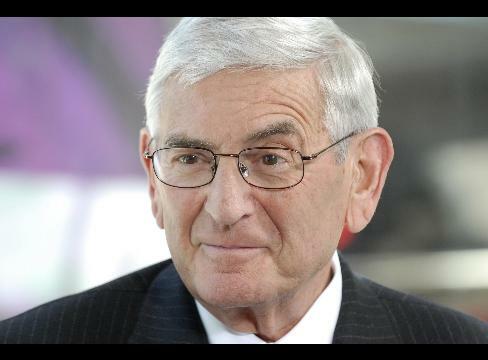 Eli Broad is guided by his self-defined criteria of venture philanthropy. In Eli Broad 2012 book, The Art of Being Unreasonable, he outlines criteria for his giving. Eli Broad prescribes to the notion that running The Broad Foundation more like a for-profit than a non-profit. He further clarified that he is not operating a charity and that he expects results for each dollar spent. 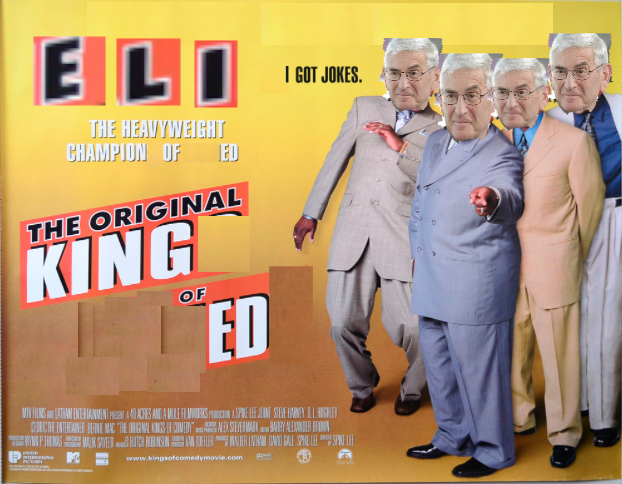 Some have called Eli Broad a “control freak” and a “bully” as his giving is known to come with strings attached. Eli Broad responds by stating that he is “not a bully, but I am not a potted plant either” maintaining a primary role in the decision-making of the various initiatives in The Broad Foundations. Academics have also critically discussed venture philanthropy. Educational historian Diane Ravitch explains the venture philanthropy approach stating, “venture philanthropists began with different emphasis, but over time they converged in support of reform strategies that mirrored their own experience in acquiring huge fortunes, such as competition, choice, deregulation, incentives, and other market-based approaches.” The work of Janelle Scott of the University of California, Berkeley underscores Ravitch’s concerns with what she refers to as cross pollination of neoliberal philanthropic foundations co-contributing only to like-minded entities. In sum, the concept of venture philanthropy as applied to educational reform has drawn criticism from some quarters. Driven by the founder’s philosophy of venture philanthropy, it is important to note the process and decision-making body for the prize. The Broad Prize for Urban Education in public school districts is not an application-based award; rather a review board evaluates districts. For instance the 2013 prize included board members such as Elisa Villanueva Beard (Teach for America), Christopher Cross (former assistant secretary of education under President George W. Bush), Frederick Hess (American Enterprise Institute and executive editor Education Next), Alexander Sandy Kress (former education advisor to President George W. Bush and Pearson lobbyist) amongst others. Each individual has clearly influenced the development of educational policy and/or participated in significant top-down reform efforts in education. Many of them hold the common tie of supporting measures of high-stakes accountability, alternative teacher certification, and privatization through school choice. As commendable as the stated mission and core beliefs of the Broad Prize appears to be to improve urban education, it is guided by the trickle-down reform philosophies of Eli Broad. What is the true role of the Broad Prize? According to Broad, “our current public education system is fundamentally broken” and “entire public school systems must be transformed.” What is meant by these vague statements can be culled by diving into their list of 75 Examples of How Bureaucracy Stands in the Way of America’s Students & Teachers, and quotes from their alumni explaining the importance of Broad. Broad identifies “labor laws, regulations and collective bargaining agreements” as major barriers to the success of our public schools. Throughout the alumni profiles listed on the site there is a constant drum beat that ties inefficiency to poor administrator and teacher management and evaluation, and the necessity of market driven management styles to achieve gains and achieve an efficient system of public schools. Who are Broad’s allies in the prize? A high-profile board of directors guides The Broad Center. The lineup of board members includes Wendy Kopp (Teach for America founder), Michelle Rhee (StudentsFirst founder and CEO and the former chancellor of District of Columbia Public Schools), and Richard Barth (Knowledge is Power Program-KIPP Foundation CEO). Beyond the ideological background accompanying the above-mentioned individuals in the decision-making process there is that financial contributions to their organizations. Notably, Teach for America, StudentsFirst, KIPP each received funds in 2011-2012 from the parent foundation. The strong educational ideologies and political ties of the board members coupled with the financial ties to the larger foundation muddle the seemingly admirable mission and core beliefs of The Broad Prize. Working from the trickle-down reform concept embraced by the founder Eli Broad, The Broad Center has two primary programs to train educational leaders: The Broad Residency in Urban Education (Broad Residency) and The Broad Superintendents Academy. Both established in 2002, these leadership programs have trained over 400 individuals with 150 graduates of The Broad Superintendents Academy. The Broad Residency is a two-year paid program that trains individuals for managerial positions in education. Requiring applicants to have advanced degrees, at least four years of work experience, and experience in one or more functional business areas (finance, operations, strategy, general management, human resources, or information technology), the Broad Residency directly aims to bring business practices to education. In the specified selection criteria, the application explains “these individuals (experienced business men and women) can bring best practices into an industry that historically has been slow to adopt practices that improve operations.” The accepted candidates are placed in partnership organizations including metropolitan school districts, charter management organizations (CMOs), and state/federal departments of education. Unlike The Broad Superintendents Academy that typically denies the development of top-down reformers in education, The Broad Residency is forthright throughout the application process that expressed value placed on disruptive business-minded decision making for educational leaders. The Broad Superintendent Academy is a highly selective training program with allusive selection criteria. Although specifics are not available for exact qualifications or what Broad interviewers are looking for in a candidate, The Broad Superintendent Academy does disclose in the aggregate track record of graduates and general qualifications for potential Broad candidates. The foundation reports 150 graduates with 96 holding or having held superintendent positions. While the glossy brochures and soaring mission of Broad seems admirable and innocuous, insight into the design and intended goals of the academy can be found in a July 2012 New Jersey open records request by the Education Law Center. A public records request looking into the New Jersey Department of Education and Commissioner Christopher Cerf (A 2007 Broad Superintendent Academy alum), resulted in the release of a March 2012 board memo regarding The Broad Superintendents Academy. According to The Broad Center memo, several actions for revamping the academy were under consideration by the Broad Board of Directors. Of the proposed changes to the Academy was the creation of the Academy 2.0. Recommendations in the memo would have the Academy focus on the creation of leaders to “disrupt the status quo.” To accomplish Broad’s Art of Being Unreasonable, the memo proposes a shift away from core knowledge for future educational leaders and toward reform priorities and reform “accelerators.” The Broad Center memo indicated that the four reform priorities as measurement of educator effectiveness, innovative learning models, accountability, and school choice. Specific reform accelerators accompany the implementation of the four reform priorities. These include strategies for removing obstacles, political navigation, community management, building political presence through public speaking and publishing opportunities, and individualized leadership training. In the 2012 memo, Academy 2.0 would market the research done on high-profile successful reform leaders to refine the selection process to target “bold visionary leaders with a proven history of breakthrough reforms,” “passionate, civic-minded, and disruptive non-traditional leaders with significant political experience,” and those with “a history of implementing an aggressive reform agenda.” Specific names such as Wendy Kopp, Michelle Rhee, Christopher Chef, Joel Klein, and Pete Gorman were mentioned as profiled leaders used as exemplars. Another key aspect gleaned from the memo was the desire to “drive talent to strategic locations with strong conditions for reform.” Essentially, locating and facilitating the placement of Broad graduates into reform primed placements in urban areas in the United States to maximize the impact of the Broad Academy. In July 2013, the school board announced that Mike Miles had apparently violated policy with regards to an OPR investigation dealing with a contract for community and parent services. The board voted unanimously to spend up to $100,000 and hire an outside investigator. The matter was referred to Paul Coggins, former U.S. District attorney. Moving forward, the Dallas ISD School Board will be obtaining a report from the ongoing investigation after Labor Day in 2013. Turnover has plagued Miles’ superintendency. Notably, the number of experienced teachers and principals that resigned under Miles was the largest in the history of Dallas ISD. A plethora of veteran teachers and principals decided to retire or go to other districts. According to education blogs, Dallas ISD had over 1,700 vacancies in July 2013. In a reaction to this, Mike Miles sent a request to surrounding districts to not hire Dallas ISD teachers. Some critics have argued that Miles has lost control and has “intimidated” teachers and principals who had been with the district. Some principals have filed lawsuits, such as former principal, Dr. Shaver, who was fired. Miles has experienced high-levels of turnover amongst the various departmental leadership and cabinet positions. For example, Jamal Jenkins, a former Broad Residency graduate, was brought on by Miles to be an Executive Director of Human Resources. Mr. Jenkins left prior to the conclusion of Mr. Miles’ first year as head of Dallas ISD. In his case the HR position was already vacated by mid October 2012. Miles is in similar company with many other Broad Fellows. Broad’s “art of being unreasonable” top-down reform approach to public school districts has not been without significant contention. For example, charges of ignoring teacher concerns and implementing divisive orders have resulted in several high profile incidents of the superintendents Broad has trained. Their superintendent trainees are making headlines as their jobs are on the line due to many issues of impropriety and an unusually large volume of worker grievances. In Rhode Island, 82% of teachers in the state feel less respected than they had prior to Deborah Gist coming into power. In the Rochester school district in NY employees overwhelmingly gave a vote of “no confidence” (95% of those who voted) to Superintendent Jean-Claude Brizard. Many others have been involved in high profile departures from their school districts. Los Angeles Unified School District head, John Deasy, was recently rated by his teachers and earned a score of 1.36 out of 5 possible points. This is coupled with his controversial Ph.D., in which, he only earned nine hours of credit before being awarded the degree from The University of Louisville. 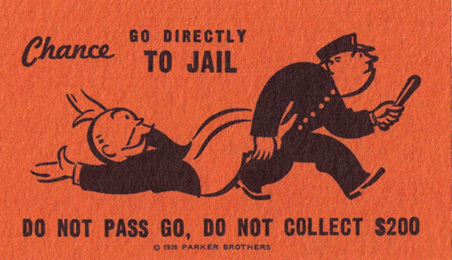 And, the late Maria Goodloe-Johnson was fired for financial impropriety in Seattle. While seemingly innocuous, the reform agenda actually espoused by Broad in the shadows via billions of dollars is the same as that of the other privatization education forces, like Michelle Rhee’s Student’s First, The American Legislative Exchange Council (ALEC), and The Thomas B. Fordham Institute. These are trickle-down reformers focused on anti-democratic top-down reforms. Diane Ravitch has spoken out against the venture philanthropy concept of private foundations run by America’s wealthy buying and dictating public education policy. Lacking the oversight and checks placed on public actions and funds, America’s financial elite are influencing and undermining the public school system without bounds. Colacello, B. (2006). Eli Broad’s Big Picture. Vanity Fair, (December), 324–330; 379–384. Broad, E. (2012). The art of being unreasonable. Hoboken, NJ: John Wiley & Sons Inc. and Safer, M. (2011, April 23). 60 Minutes: Why and how Eli Broad is giving billions away. Safer, M. (2011, April 23). 60 Minutes: Why and how Eli Broad is giving billions away. Soon after Rod Paige left, Houston ISD won the first Broad Prize. Retrieved from The Broad Prize 2013 http://www.broadprize.org/about/decision_makers/review_board.html. Other review members included Anne L. Bryant, Dan Goldhaber, Jane Hannaway, Eric Hanushek, Karen Hawley Miles, Patricia W. Levesque, Deborah McGriff, Thomas W. Payzant, Delia Pompa, Margot Rogers, Andew Rotherham, John Simpson, and Gene Wilhoit. Retrieved from The Broad Center http://www.broadcenter.org/who-we-are/board-of-directors Additional members include Paul Pastorek, Barry Munitz, Becca Bracy Knight, Harold Ford J., Louis Gerstner, Jr., Dan Katzir, Margaret Spellings, Andrew L. Stern, and Lawrence H. Summers. The Broad Foundation. (2012). The Broad Foundations 2011-2012 report. Los Angeles, CA. Broad, E. (2012). The art of being unreasonable. Hoboken, NJ: John Wiley & Sons Inc.
 Retrieved from The Broad Residency http://www.broadcenter.org/residency/ with full list of partnership organizations available at http://www.broadcenter.org/residency/partners/partner-organizations. Samuels, Christina A. (2011/06/08). Critics target growing army of broad leaders. Education Week, 30, 1.
history hugely-salaried reform geniuses CARE about our nation’s children…. This is how billionaire, Eli Broad, who practices education without a license, has infiltrated the public schools with venture philanthropy. If you value public schools, this is a must read. Thank you for this analysis. It needs to be shouted from the mountaintop. My wife is one of the teachers who left DISD because of Miles disruptive behavior. My wife is an excellent, hard working, dedicated, veteran teacher. She was teaching a fourth grade bilingual class. Many times per week her class was imposed upon by “spot evaluators” who never spoke to her or her class but observed the class menacingly. This is the standard treatment for DISD teachers. It is intimidating, morale killing, bullying. Teachers were told novels could not be read in class, only short excerpts. Doors had to remain open, even when class was disturbed by outside noise. Surveillance cameras were installed. Teachers live in fear that they will be fired at any moment. Teacher’s time was exhausted by pointless administrative busy work which included demonstrations of learning DOLs which do not help students or teachers but make it appear as if Miles is doing something. Last year was a nightmare in DISD. I fear this year will be worse. I sincerely appreciate your efforts. I am sure the teachers of Dallas appreciate your work too. Thank you for this excellent analysis of the Broad Foundation. Too many people still do not “get it” in terms of the important role that Broad has played in corporate education reform.